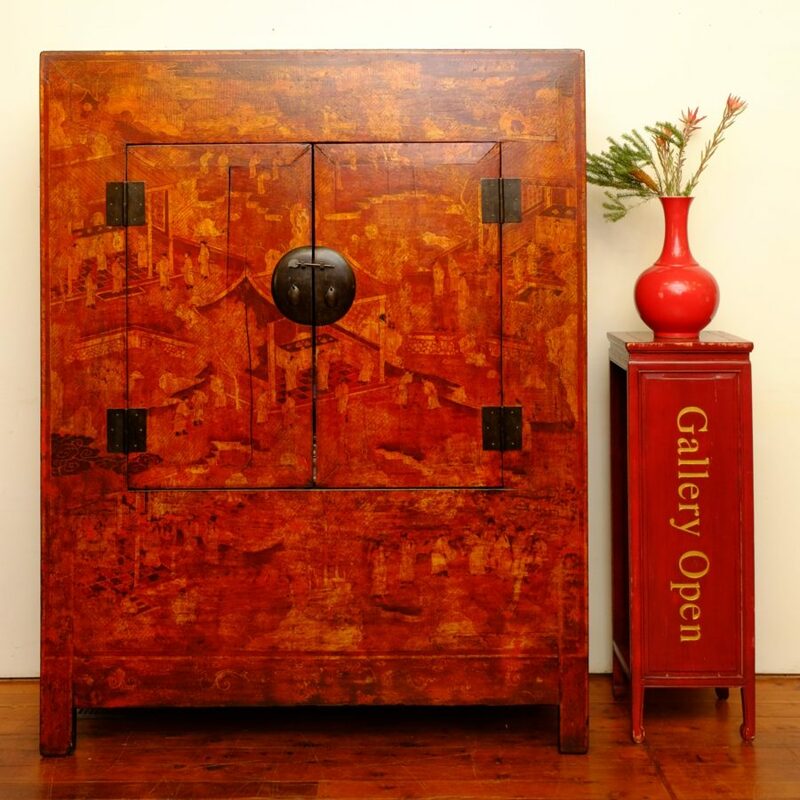 $101010 This large cabinet from Shanxi province is a rare find from the early 1800s. It is made of northern elm and measures 150 cm wide, 57 cm deep and 191 cm high. 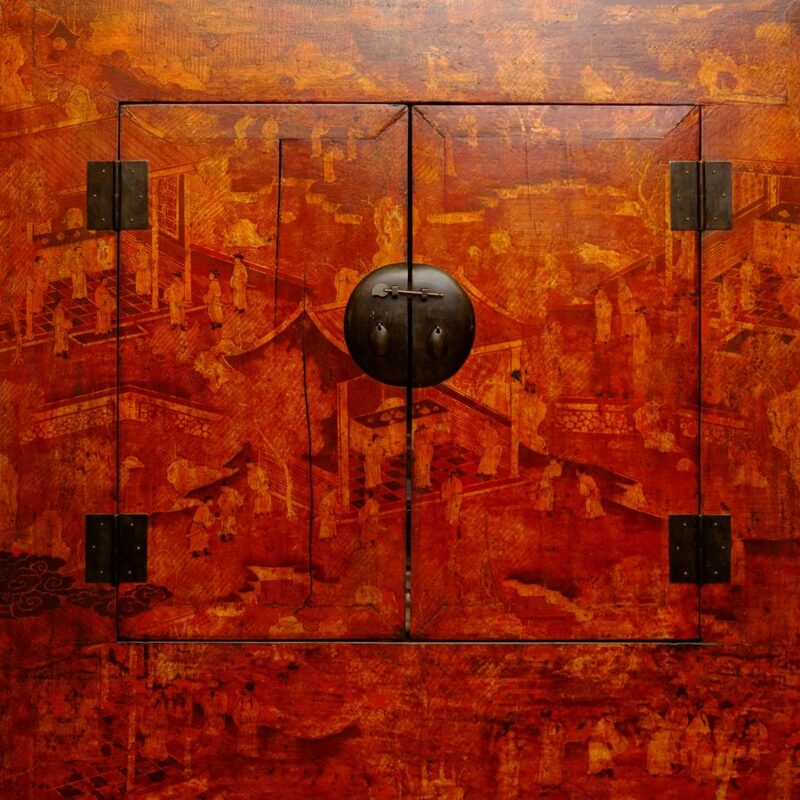 #101010 A close up of the exquisite paintings in gold on red lacquer that cover the exterior of this magnificent cabinbet. Inside it has two removable shelves and a hanging rail . An original secret compartment below offers generous storage for bulky items such as blankets and quilts.